Investigate an underworld of deceit. 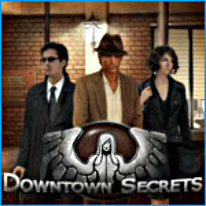 Investigate the seedy streets of an underworld teeming with deceit and corporate conspiracy. When a former flame is accused of murder, attorney Alex Frasier is forced to risk his livelihood to uncover the truth. Will he find a way to reveal who or what is behind a growing string of violence? Hunt for clues across a neon landscape of hip cafes, cocktail lounges, and back alleys. Search for facts, decipher cryptic documents, solve puzzles and take a step back in time to discover evidence that was removed only moments before you arrived.